The FCC Rotaract Club carried out its Ramadan Project from 2 to 4 June 2014. The aim was to collect donations for orphans living in Sadia Foundation. 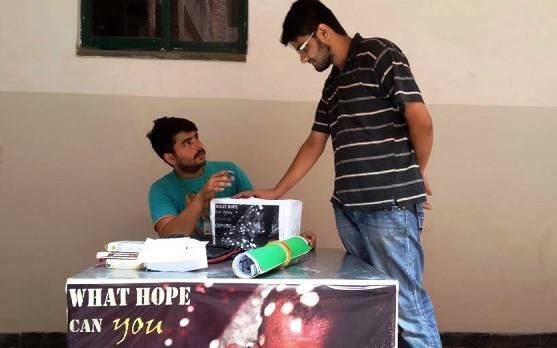 A stall was set up in Elahi Block and volunteers collected donations from the Armacost and Administration Blocks at FCC. The Rotaract Club team was able to collect a large number of donations within a short period of time. The funds collected will be used to buy items for the children of Sadia Foundation. The people at Sadia Foundation arranged an Iftari as a gesture to show their gratitude. Before the Iftari, gifts were distributed among the children by members of the Rotaract Club of FCC.